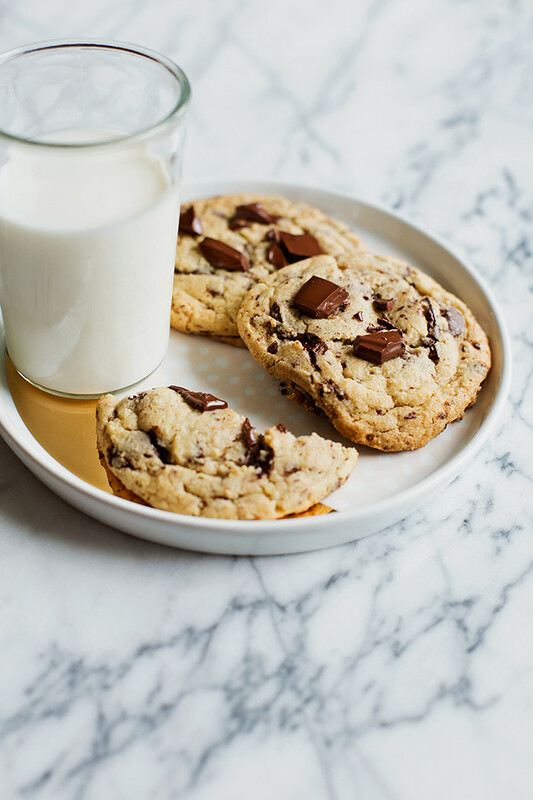 These chocolate chip cookies may be basic, but they’re the best kind of basic. They’re the standard in this house and I don’t know how I’ve neglected to share them here for so many years! 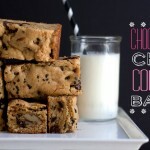 I make these whenever we get that chocolate chip cookie craving–this is a thing, right? We’re not the only people who get in the cookie zone and make batch after batch of them, I hope. It really started not long after Casper was born and none of us were sleeping much, a frequently replenished stash of this cookie dough kept Sean and I fueled (that and gallons of coffee). They’re our favorite with an almost caramelized, chewy edge and soft, gooey middle. 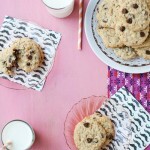 To me, they are exactly what a classic chocolate chip cookie should be and even though I make (and love) so many different variations of the chocolate chip cookie (examples a,b,c,d, & e), this basic recipe is the one I reach for over and over. We like lots of chocolate in our cookies, so there are melting puddles throughout the middle of every single cookie. Scale up or scale down the amount of chocolate–I shoot for 8 to 10 ounces of chopped chocolate or those big 60% cacao Ghiradelli chips. I also almost always portion out the dough and freeze it. You can definitely bake this dough right after you make it, but I think it gets even better in the freezer, somehow even more caramelly and delicious. 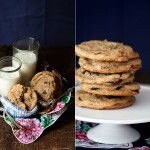 Plus, what beats a warm chocolate chip cookie? These are my go-to chocolate chip cookie, they're chewy around the edges and gooey in the middle with loads of melty chocolate. Preheat the oven to 350°F. Line 2 baking sheets with parchment. Whisk the flour, baking powder, baking soda, and salt together in a bowl. Set aside. In a mixer**, beat the cold butter, sugar, and brown sugar together to combine. Just until the butter and sugar are evenly mixed, not light and fluffy. 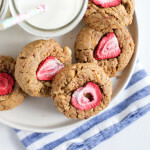 We want these cookies to be chewy and moist, and over beating at this stage with mix in too much air, making a dry cookie. Beat the eggs in, one at a time scraping the bowl well after each addition. Beat in the vanilla extract. Add the flour mixture and mix on low until just combined. Fold in the chocolate. Scoop the dough onto the cookie sheets (I use a 1.5 ounce cookie scoop) leaving a few inches of space between the cookies. Bake for 11-13 minutes or until the edges are golden brown. Remove from the oven and cool the cookies on the baking sheets for 5 minutes before transferring the cookies to cooling racks. Repeat with the remaining dough. *For the cold butter, just use butter you've taken out of the refrigerator (not frozen) and cut it into small pieces. **I find this recipe works best with a stand mixer, since the butter is cold. If you only have a hand mixer, that's totally fine! Just let the butter soften a bit and proceed as the recipe dictates. To freeze the dough, line a baking sheet with parchment paper and scoop the dough onto the sheet, freeze the cookie dough on the lined baking sheet for several hours until solid. Put the frozen scoops of dough into a zip-top bag and store in the freezer. You can bake these from frozen, just add 2 or 3 minutes to the baking time. 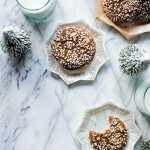 Sometimes I add a cup of chopped walnuts to these cookies for some nutty crunch. Best kind of basic indeed! Your cookies look PERFECT! 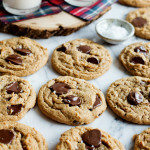 I feel like so many of us are always trying to come up with the next best thing or amazing flavor combo (me included), but sometimes we just need a really great chocolate chip cookie. These photos are so amazing. Like, I just want to reach in a grab a cookie (or 5). Yumm!! And now I want cookies. And cookie dough….. I definitely get stuck in that rut! Sometimes it’s nice to go back to the basics. Thanks, Tessa! 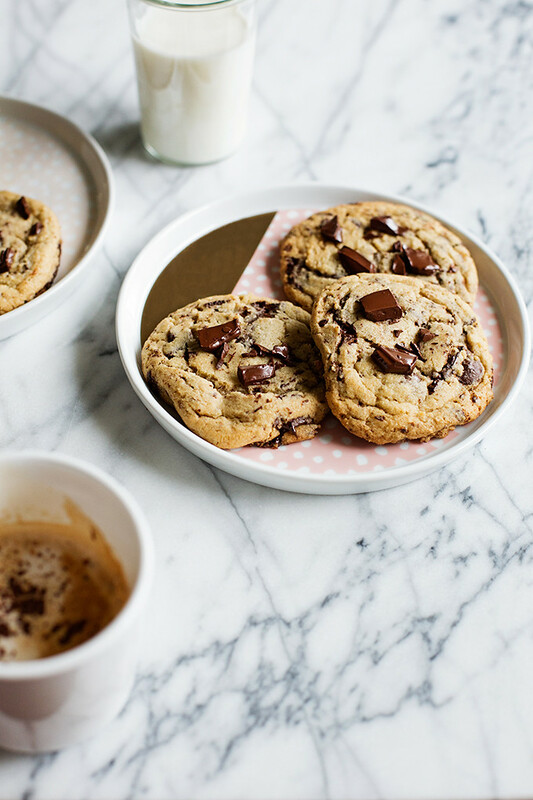 Chocolate chip cookie cravings are TOTALLY a thing. They look absolutely incredible Cindy!!!! I’m drooling like a fool. I NEED these cookies. Lookin’ gorgeous, my dear! I’m all about the basics, so these are being bookmarked NOW! Sorry to hear that the recipe didn’t work for you! I don’t understand what’s 1 cup cold butter (2 sticks), cut into pieces. Can you explain more? I don’t understand what’s I cup cold butter (2 sticks). Is it put the butter in fridge then cut into two? Can you explain more? Hi, Rai! Sorry for the confusion, just use butter that hasn’t been softened. By 1 cup/2 sticks I mean, 2, 4 ounce, sticks of butter. Which is how I usually buy my butter. I hope this helps, please reach out if it doesn’t. Thanks for commenting.